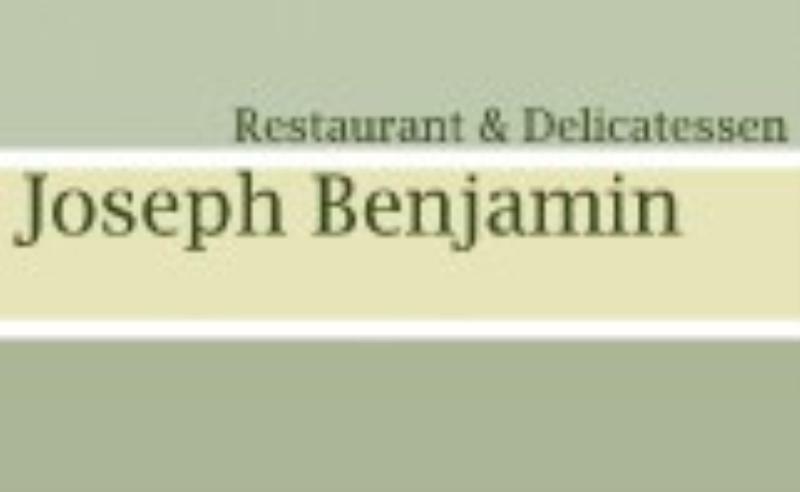 Joseph Benjamin, a restaurant and delicatessen located inside Chester's city walls on Northgate Street is the enterprise of two brothers, Ben and Joe Wright. The minimalist décor with interesting artwork on the walls is an all day eatery, but the atmosphere is more intimate in the evening with candlelit tables. Ingredients are sourced with care using local and seasonal produce for the short modern European menu, that changes at least once a month. Expect the likes of hot-smoked Scottish salmon and quail egg Niçoise or warm salad of curried cauliflower and chick peas with pickled carrots, raisin puree and mint yoghurt amongst the starters. Main courses could feature corn-fed Goosnargh chicken breast with smoked bacon and sage lentils and roast turnip or grilled fillet of Dorset line-caught wild sea bass with basil risotto and braised oxtail. While desserts take in warm chocolate brownie with chocolate sauce and vanilla ice cream or how about homemade fruitcake with Stitchelton blue cheese and a glass of chilled sweet moscatel sherry. The ever evolving wine list is carefully chosen and offers great examples of classic wine styles from all over the world, with several bargains under £30. There is also a barrel of one of the many locally brewed ales on hand-pull, as well as Warsteiner lager on draught. The bar is open all day to diners and non-diners. Next to the restaurant is the delicatessen and the newly expanded cookshop specialising in homemade, local and seasonal specialities, quality kitchenware, and coffee related items, including eight different varieties of coffee beans. 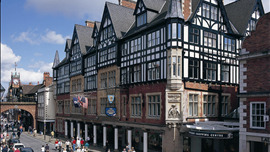 It's impossible to miss The Grosvenor's majestic gabled and turreted façade, in the heart of Chester's, traffic-free shopping centre. 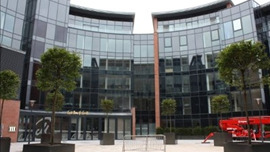 ABode Chester located on the former site of the Cheshire Constabulary headquarters, is the latest property of Andrew Brownsword's expanding empire of boutique hotels. 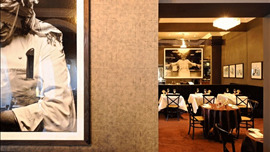 As the first British Chef to be awarded 3 Michelin Stars and the youngest Chef in the world to receive them, Marco Pierre White is a name synonymous with quality and a great dining experience.